The forecast for the EU elections in May is that more anti EU members will be elected to the EU Parliament. If we get an extension I would like to see all who voted Leave to vote for anti EU MEPs. Enough of them will change the direction that the Federalists are determined to implement. I voted Leave but would be happy to stay in a reformed EU. As a side note, I bet the Eurocrats now wish they had given more thoughts to DC requests a few year back. So, now we have a Halloween Brexit - or do we?...………………………………………………….. Yep! 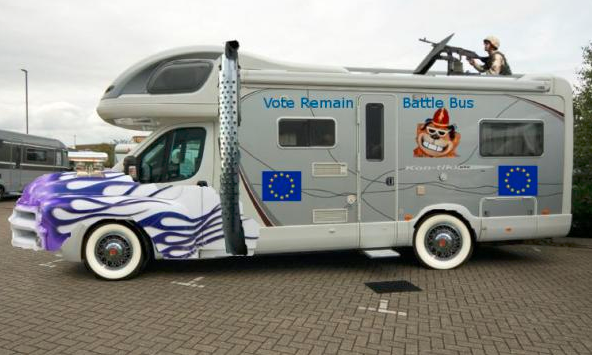 The Remoaner Kontiki Battle Bus will be going on EU tour I have decided this summer to win hearts and minds in EU La La Land. No, dont thank me.